11 Secrets For Raising Cavity Free Children! If you have kids, you know that introducing them to new things can be fun, challenging, exciting, frustrating, and so much more all at the same time! Now days when a child gets a cavity for the first time, it’s like a tornado hits the household! There may be tears and tantrums and then two minutes later they will be on to something new. Most kids grow up learning they don’t want cavities, and get rewarded if they come to the dentist office and leave with an A+ on their dental report card; it definitely was not that way when we were kids. Back when we were kids, we grew up almost expecting to have cavities when we went to the dentist. Having the doctor pry, poke, and drill for an hour or so was normal. However, that is not the case anymore! Times have changed! Today, in our society, there are many benefits our children have, that we didn’t have when we were younger. For example, one of the great benefits is that kids today are growing up with fluoride in the water. People are becoming more aware of the importance of dental hygiene and parents know that they need to bring their children to the dentist. This simple special report was made to give you a couple quick, helpful tips that you can use to help your child grow up with healthy teeth, and prevent as many dental problems as possible. When is the earliest a parent should start bringing their child to the dentist? According to the American Academy of Pediatric Dentists (AAPD), a child should see a dentist when they get their first tooth or by his/her first birthday. 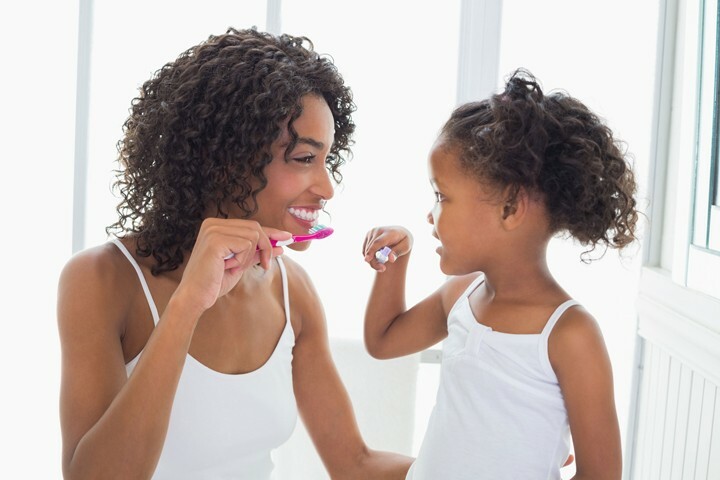 Not only is this important for the child’s dental health and development, but also to educate parents on how to properly care for their child’s teeth. Our philosophy is, teach the children to enjoy being at the dentist, then if they need something done, they won’t be scared to let us help them. But if we look in their mouth and see there’s nothing major, we will give them a toothbrush and a prize and have them come back in six months. That way everything is fun! Parents seem to like that, because when their children grow up not being afraid of the dentist they will be more likely to enjoy the experience. 11 Secrets for Raising Cavity Free Kids! Begin cleaning your baby’s mouth with a clean gauze pad or wet wash cloth the first week the child is brought home from the hospital. Although most babies don’t have any teeth until about six months of age, a daily cleaning in infancy will get your child accustomed to the process, and ensure clean and healthy gums when the teeth do come in. By starting early, your baby is more likely to accept you cleaning his/her teeth later, when it is necessary to prevent tooth decay. Incorporate a toothbrush and fluoride toothpaste into the routine by the time your child reaches 18 months, or at the time his/her first molars come in. Your child’s first visit to the dentist should be by the age of one. Although baby teeth will eventually fall out, they are very important to your child’s dental development. The muscles of their mouth and jaw form around the foundation laid by their first set of teeth. The dentist can make sure your child’s dental development is proceeding normally as early as his/her first birthday and with checkups every six months thereafter. 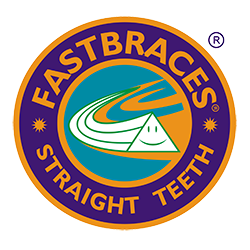 Stop your child’s thumb sucking habits before his/her permanent teeth come in. Sucking on a thumb or pacifier is a natural and satisfying behavior for babies. However, the habit can alter the position of baby’s developing teeth and the dental arches if it continues after his/her permanent teeth begin to erupt.Fortunately, the damage is usually self-correcting, unless your youngster continues the habit much past the age of six. If you are having trouble getting your child to stop sucking his/her thumb, we can offer some advice. Make sure your child gets the benefits of the latest in cavity prevention, including fluorides and sealants, if needed. Do not give your child a bottle at night with juice or milk. If your child must have a bottle at bedtime, fill it with water or use a pacifier. If your child uses a pacifier, don’t dip it in any sweetener. Some dentists have taught this in the past and it is not a good idea! If you live in a community where there is NO fluoride in the drinking water, use a fluoride rinse or buy bottled water that has fluoride. You need to help a child under age 7 years old do the brushing. Studies show that children under 7 do not have the dexterity to do a good job. One great strategy if you have a child, who likes to do everything on their own, is to let them do it first on their own. Then say that it’s mommy or daddy’s turn. We know there are children who will fight you on brushing, but stick with it because the rewards will be huge. Finally, the most important thing to realize is that children learn the behavior they observe. So, the reality is, your dental health is just as important as your child’s. When was the last time you had your dental check up and cleaning? I hope this report has been educational and helpful. If you have any questions, or would like to schedule an appointment, please call 803-781-5141 to schedule our Healthy Teeth Check-UP! We are confident that once you experience our quick, easy, anxiety free and pain-free dentistry, we will be your forever dental home! By selecting our office for your dental care, what have you got to lose? If you like our service (like many of your neighbors already do) then we want to provide your children with high quality, affordable dental care for years to come. If you don’t then just let us know and we will send your x-rays to any dentist you choose. We are confident that if any other dentist used the same high technology we use and attended the same advanced education courses, then he/she will agree with our recommended treatment!